Water sports are increasing especially in elderly population sectors who have suffered some kind of muscle or bone damage. 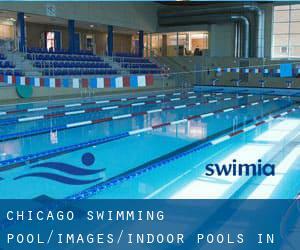 Please check the nearest Indoor Pools in Chicago or Contact us to ADD IT. It is free! Thanks to some new Pools submitted each day, Swimia.com is growing daily the number of stored pools. Please don't hesitate to contact us if you find any inaccurate or incomplete information. Are you on holiday and want to keep fit and healthy? 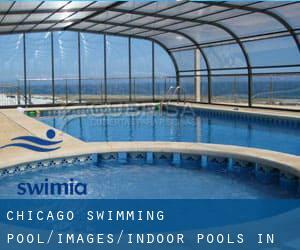 Swimia.com offers you the easy and quickest option to discover pool near Chicago. Looking for Indoor Pools in Chicago? Many of them belong to gyms or sport centers which also offer you lessons. If you're visiting Chicago make sure you know the rules and regulation for swimming as they may not be the same as inside your house town. Updated on 2019 901 W. Roosevelt Rd. , Chicago , IL , USA (Postal Code: 60608). Few days ago a standard user of this center told us they offer Olympic size x 25 yards + 20 yards, 8 lanes, Indoors. Furthermore, they keep in good conditions 25 yards, Indoors. Updated on 2019 440 S. La Salle St. , Chicago , IL , USA (Postal Code: 60605). Swimmers like you reported 20 yards, 4 lanes, Indoors. Unfortunately we do not have the email address of this Swimming Pool, but we can give you the phone number. Updated on 2019 3945 N. Springfield , Irving Park , Chicago , IL , USA (Postal Code: 60618). This sports center delivers 20 yards x 25 feet, 5 lanes, Indoors. For this Pool, only phone number is number here. Updated on 2019 3003 West Touhy Avenue , Chicago , IL , USA (Postal Code: 60645). Among all the activities offered by the center, if you are interested in swimming you will enjoy 25 yards, Indoors. Just in case you would like to get in touch with this Swimming Pool before dropping by, we only know the phone number. Updated on 2019 401 North Wabash , River East , Chicago , IL , USA (Postal Code: 60611). Among all the activities supplied by the center, if you're enthusiastic about swimming you'll appreciate 25 yards, 3 lanes, Indoors. If you need to contact this Pool, email address and phone number are both number. Updated on 2019 3517 W. Arthington Street , Chicago , IL , USA (Postal Code: 60624). Among all of the activities offered by the center, if you are interested in swimming you can expect to appreciate 25 yards, 6 lanes, 10 feet maximum depth, Indoors. Just in case you want to get in touch with this Swimming Pool before dropping by, we only know the phone number. Updated on 2019 1333 N. Laramie , Chicago , IL , USA (Postal Code: 60651). Swimmers like you reported 20 yards x 30 feet, 5 lanes, Indoors. Unfortunately we do not have the e-mail address of this Pool, but we can give you the phone number. Updated on 2019 4247 W. 31st Street , Chicago , IL , USA (Postal Code: 60623). Among all the activities offered by the center, if you are interested in swimming you will enjoy 25 yards, 6 lanes, 10 feet maximum depth, Indoor/Outdoor. Just in case you want to contact this Swimming Pool just before dropping by, we only know the phone number. Updated on 2019 720 S. Michigan Ave. , South Loop , Chicago , IL , USA (Postal Code: 60605). Among all the activities offered by the center, if you are thinking about swimming you will enjoy 20 yards, 3 lanes, Indoors. Just in case you would like to contact this Swimming Pool prior to dropping by, we only know the phone number. Updated on 2019 7500 Pulaski St. , Chicago , IL , USA (Postal Code: 60652). This sports center offers 25 meters, 6 lanes, Indoors. For this Swimming Pool, only phone number is number here. Updated on 2019 Century Mall , 2828 Clark St. , Chicago , IL , USA (Postal Code: 60657). This sports center offers 25 meters, Indoors. For this Pool, only phone number is number here.